Our collection of Wholesale Party Glasses are sure to bring a special touch to any occasion! 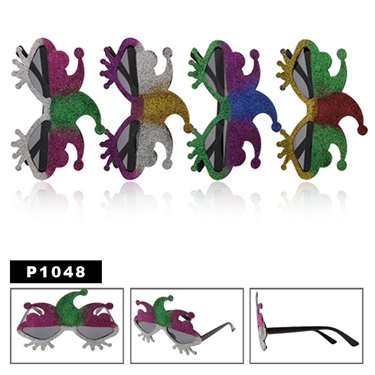 We have party glasses for most National Holidays, and many prominent social occasions. All of our Party Glasses are sold by the dozen. Browse our full selection and add that "Special Something" to any event. Joker Sunglasses are going to be fun for any party! Have you seen our brand new cat eye glasses yet? Check them out before they're gone!